I recently wrote about a start-up company poised to alter the landscape of how broadband internet comes into our homes. Most of us have had issues with an internet service provider in the past. Some of you have probably had issues with BOTH your local cable and phone companies – and technology is finally coming to a point where competition is able to come into an otherwise static system and shake things up. BUT, are we there yet? And is Freedom Pop the service to do it? I’ve been using Freedom Pop for over a month now. I can honestly say that it provides internet speeds comparable to my DSL. The technology, if you are fortunate enough to have good service, is ready to give the cable and phone companies a run for their money. My wife and I have watched video, surfed the web, sent e-mails, and enjoyed our online experience just as much as we had before, but with a cheaper bill and better customer service. First. You’ll have to check to see whether or not the service in your area is robust enough for you to jump on the Freedom Pop bandwagon. At some point they’ll be switching over to Sprint’s LTE network from Clear’s WiMax network. In layman’s terms that means that their service will eventually be even faster with wider availability. But for now, make sure to check out this coverage map to see whether or not you’ll be eligible for this service. Second. If you are a heavy internet user this isn’t a service for you. That means that if you are on Netflix or Hulu almost every night you will likely burn through your bytes too quickly. I am personally willing to consume less internet in order to have a lower bill with a better service but I think I’m in the minority there. After trying it out and weighing my options I’ve decided that Freedom Pop just isn’t going to work for us. I’m bummed because I was SO READY to ditch my DSL plan through the local phone company. Here’s why we are staying put for now – my wife works from home and I have to use the internet at home for work as well. We just aren’t at the point where we can be capped at 10gb a month. Freedom Pop could work for us if they offered an option with more data. So who is Freedom Pop perfect for? People like my mother in law. She isn’t a data hog. She likes to be able to send e-mails and make the occasional online purchase but doesn’t use her internet connection for nonstop video streaming. If you are in that sweet spot, if you too love a fast internet connection but aren’t big into the video watching and torrent downloading, Freedom Pop might just be your new best friend. And the price for those of you who consume less than 1gb a month? Free. Now that is music to my ears. The pricing for the rest of you that are interested in trying it out but need 10gb a month are as follows: $9.99 (1.5 Mbps) for the slow speed, $14.99 (3Mbps) for a faster speed, and $18.99 a month for their fastest speeds (8Mbps). What is the future for Freedom Pop? I’m not sure. 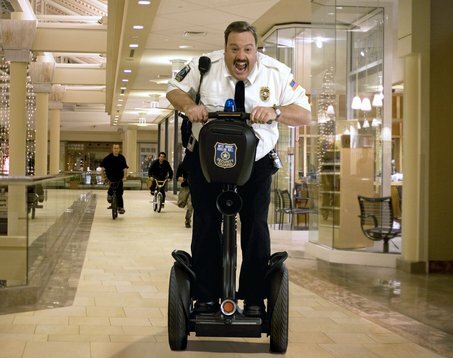 It is always hard to tell with these technology start-ups Will it be a highly successful venture like Ooma or will it self destruct like the Segway? Only time will tell. It has the makings of a viable third option for many of us. Most of all, I’m just glad to see another player in the game. The more competition we introduce to the industry the more that we as consumers will benefit in the long run. FreedomPop wouldn’t work for us at home, as we like to stream media (and have no Wimax coverage). However, I have it at my office, and it meets my needs perfectly as I just check email and websites at work: no streaming. My signal at work is strong, and I’m enjoying paying just $10 a month for it. Before getting FreedomPop, I paid over double that for Wimax. Glad you are enjoying it at work Nancy. $10 a month for internet is amazing! Freedom Pop certainly hits a sweet spot in the market. If you know that you would consistently use more than 10gb per month why couldn’t you subscribe 2x and when you’ve burned thru your first 10gb then you could switch over to the second subscription? I know that for the rural area the speeds are faster than current options including the cell hot spots and the really crappy sat service. Even the new 4Gen service is on sat is lousy! Kathy. Good idea on the subscribing twice. I hadn’t thought of that. Thanks for throwing it out there. I bought the Freedompop mobile device for my mom in January. It worked well, but I recently swapped it with the Freedompop Hub Blast, which works ever better. A perfect solution for light internet users. We are happy with the service and price. Hey Gretchen. From everything I’ve heard the Hub Burst is their best product. That is what I was using and I found it to provide fantastic service. I’m planning on getting my folks to sign up for the service as well. Joel…Can I use Freedom Pop with my Ooma? I have just recently learned of this, and although I do not watch video on my computer, I do watch a few shows via Hulu on my television, and I have a Roku. I do not have cable but use the DSL from AT&T. Is that too much data even if I paid the $18.99 per month fee? Hey Dawn, You can use Ooma with your Freedom Pop. It is giving you internet the way that AT&T is but just through a different channel (and at a different price). And you can get by with a few Hulu shows here and there, just make sure to monitor your usage – Freedom Pop makes that pretty easy. And Roku’s are awesome! A scam? I know many people who are using Freedom Pop and enjoy it. I haven’t seen any $20 fees. They do have an inactivity fee, as you say. There are definitely a few hoops to jump through in order to get the free service. But if you follow those few rules you get free internet! That’s kind of sweet. If you really are having such a hard time reaching a person there please shoot me an e-mail via the Contact button at the top of my site. I’ll be happy to help you find someone at Freedom Pop to talk to. 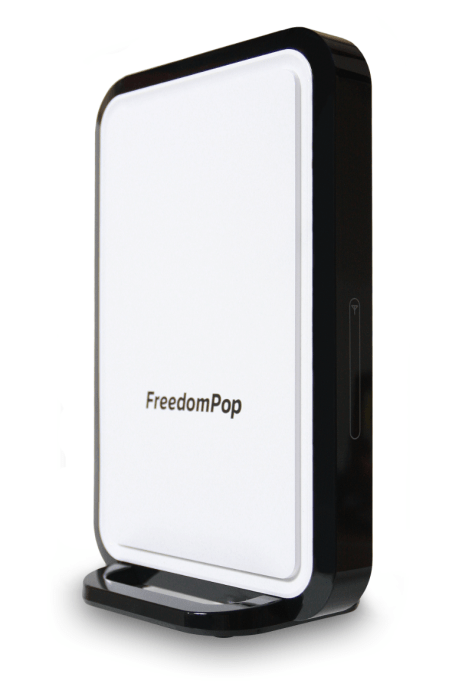 I’m thinking about getting the Freedompop Hub at home. I probably stream about an hour of video (Netflix) per day. Aside from that I just use it for email and sometimes do some shopping. Trying to find out if their 10GB plan would work for me or not. Any ideas? My initial thought is that you’ll go over 10GB with that usage. It would be best to check your actual usage for a month so that you have a better idea if you could move your business to Freedom Pop. What are the best alternatives to Freedom Pop? To me its curious that no more startups have tried to open up larger amounts of data to consumers. Unfortunately Nathan, in the current marketplace there are almost no alternatives. You have cable, phone company, and the satellite (expensive and mostly rural alternative). The only other options that I know of are Clear (Freedom Pop runs on their Wimax network) and tethering via your cell phone (presuming you have a decent data plan). Hope that helps! Thanks for the tip Scott. I’ll check out Excede! So how do you connect a voip device (magic jack, ooma, vonage, etc)? Is a wireless bridge the answer? I’m a current Freedompop owner. If I would have discovered your story a month ago I would be in a lot better shape than I am now. Freedompop has worked as intended as far as internet goes. Plugged the hub into the wall and I was good to go. Took 5 minutes. Maybe. However, I woefully underestimated how much 10gb would get me. I’m by no means a major downloader, and I don’t excessively stream but, I’ve already burned through my 10gb , and have been hit with several additional fees. What I’m wondering is this: If I purchased a Roku device, am I getting around using my 10gb that Freedompop allots me? Or am I still going to be in the same position, burning through gb’s and getting hit with a lot of additional fees? Freedom Pop is definitely user friendly and easy to set up. And yeah, that’s the major problem with Freedom Pop in my opinion. 10gb just isn’t enough for a lot of people. If you don’t use any of the online video streaming services then you should be totally fine. But just watching 20 minutes of Netflix a day will most likely put you over the 10gb mark. And the Roku isn’t going to help you with that. It’s just another way of accessing online content via the Freedom Pop internet connection. I really do think Freedom Pop is super cool, but they just might not be for you at this time Gregorio. Let me know what happens!